Words that linger: speaking, guiding, reminding. Last year, I felt the failure of the words. The failure of having fully come to understand them. To live up under them. To have mastered them. This year I realize they are less things to figure out and more like good friends who keep joining my tribe. Friends who continue to whisper the promise of their goodness. Of their undying love and support. What a gift to have friends among these. What a hope they offer. So I suppose it’s no surprise that this year I’m choosing to stew in hope. I mean, I did name a book, “Reclaiming Hope.” And another “And Then There’s Hope” (coming soon). And recently, I spoke at an Orphan Care Summit on the topic of hope… biblical hope versus cultural hope, and why we do hard things if they’re so hard. Well, it’s because of hope. 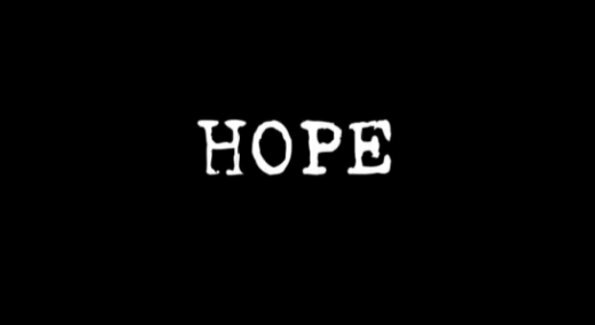 Not just any hope. Not the “it would be nice if…,” or “I wish…” kind of hope. Not the hope that sits around thinking nice thoughts, uncertain if the dreams and wishes will ever be true. No, I’m talking confident hope. Hope that knows. This is the hope I want to sit under this year. Because 2015 (and 2014) were HARD years. I was often filled with hopelessness and despair. The kind of hopeless that just doesn’t see a way out of the dark tunnel. No light at the end. No promise of better. And maybe this in itself is a sign of hope. Small hope. Flickering hope. But hope all the same. Because for some reason, I didn’t let go. Will you join me this year in clinging to hope? In reclaiming hope in all of the places we’ve lost it? In giving hope a chance again? This is a terrifying adventure, because disappointment hurts a lot. But our hope is based on the grace of God. And this, my friends, is the safest place to be. *Join me in a study of hope HERE.